Canadian Zinc’s proposed road to its mine inside the Nahanni National Park Reserve will get an environmental review, but some are wondering why Parks Canada didn’t make the referral. The all season road being built to the Canadian Zinc mine in Nahanni National Park Reserve will undergo environmental assessment. The Mackenzie Land and Water Board referred the project to the Mackenzie Review Board and it is now under way. But some wonder why the referral wasn't made by Parks Canada as well. 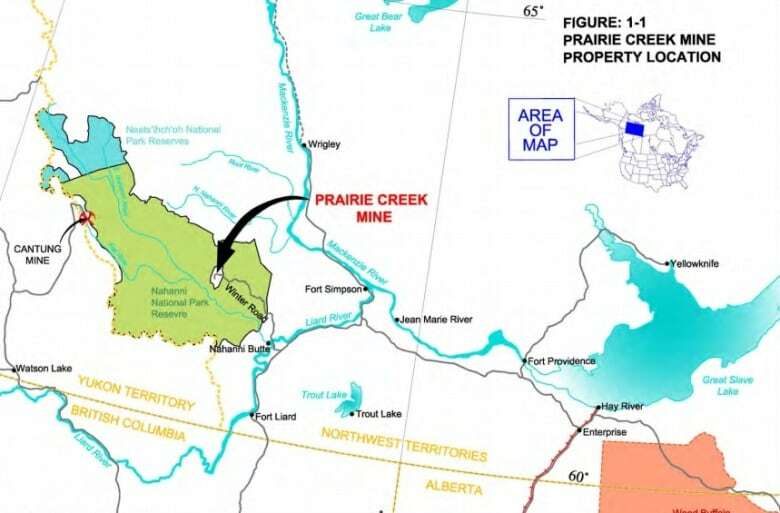 The all weather road would run from the Liard Highway to the Prairie Creek Mine site inside Nahanni National Park Reserve, cutting through about 80 kilometres of park land. The Nahanni Butte Dene band supported a request from Canadian Zinc that the road get an environmental assessment. The band had concerns the road would potentially affect wildlife, waterways, and harvesting patterns. The Mackenzie Valley Land and Water Board referred it to the review board. In that request they point out that Parks Canada elected not to use their referral power — instead it recommended the land and water board maker the referral. Dennis Bevington is Member of Parliament for the Western Arctic. "They should've been a little bit stronger on that front and I think they weren't because this conservative government wants to down pedal its control on any environmental work,” he says. "I think that quite clearly, there are real issues right now in all the departments dealing with environmental issues and the rules have changed so much and the direction of this government is so much pro-resource development that I don't think people can actually act in a fashion that they see is the best road forward." Meetings related to the assessment have already been held in communities closest to the mine. One is scheduled for Yellowknife July 8, and will be open to the public. The CBC has contacted Parks Canada for comment, but they have yet to respond.